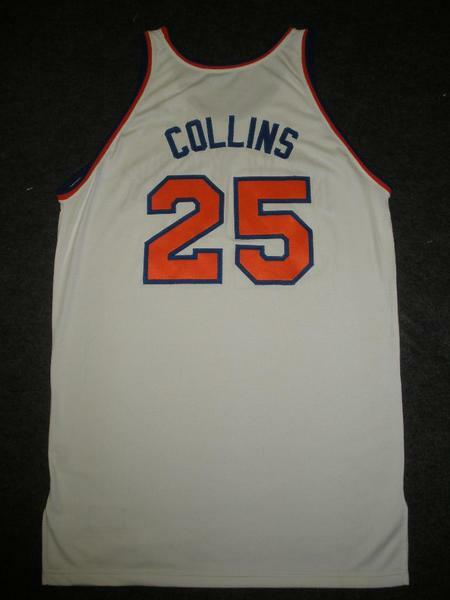 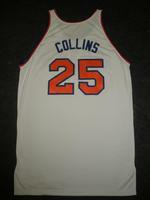 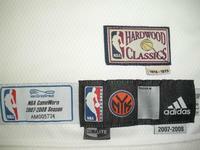 a white 'Hardwood Classics' jersey worn by Mardy Collins of the New York Knicks during the Knicks' 2007-08 National Basketball Association season. 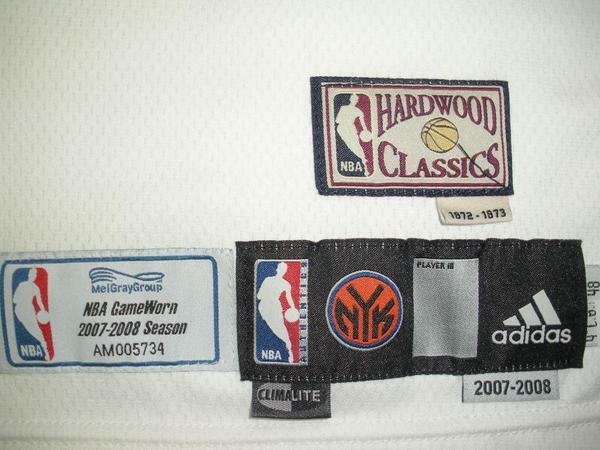 The New York Knicks wore this style of jersey on 12/12/07, 12/23/07, 1/9/08, 1/21/08, 3/21/08 and 3/24/08. 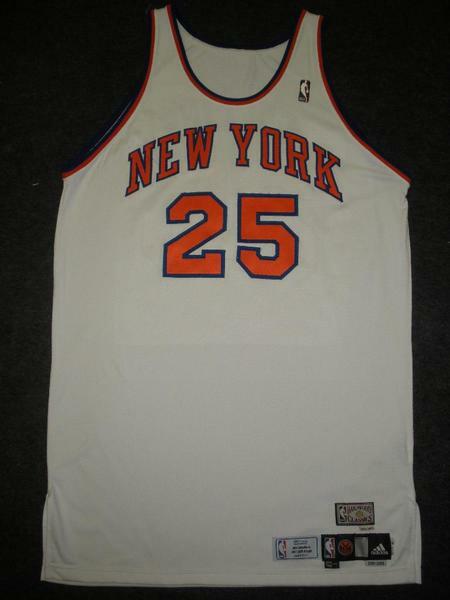 This jersey replicates the style worn by the New York Knicks during the 1972-73 National Basketball Association season, when they won their second NBA Championship.